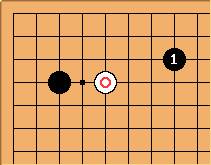 Books on joseki usually make no reference at all to as a pincer. 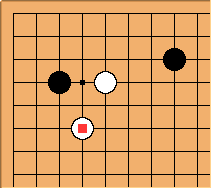 One theory is that White can play tenuki here and not suffer too much damage. Therefore it is better to pincer on the fourth line. Certainly if Black later adds the circle-marked stones in, the square-marked pincer stone belongs on the fourth line as shown. After this the black pincering stone might well end up too close to white thickness. A Chinese book makes the point that a pincer (jia) was not just an attack from both sides but that it was a "converging" attack. 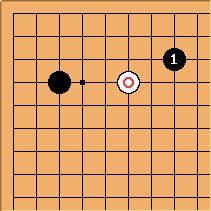 It seems that the two black stones here in no way converge, unless you assume umpteen free moves. And of course their 4-4 point analogues. As well, the pincer at 3-4 point distant high approach from the wrong direction would be called a quasi-pincer. In Pincer Nomenclature it is suggested that an essential feature of a pincer is to obstruct the pincered stone making a two space extension. In general the two space extension is most desirable for a stone on the third line because it helps make a base. With the "quasi-pincers" a two space extension is obstructed but the stone is on the fourth line so a base is not as relevant. The pincering stone on the third line does undercut the pincered stone but because it is on the fourth line it has easy access to the outside. Not only the marked stone below but b as well is missing from the dictionaries. One possible explanation is covered on high vs low pincer. 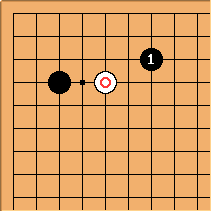 The play a is the only low pincer commonly used against the one-space high approach move. Searching the GoGoD CD with an otherwise empty quadrant returns 13 games with this shape. Out of the 13, four are actual pincers played at the marked stone. 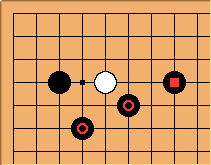 All four are cases where Black already has a stone at one or the other of the points marked c. The other nine games are all cases where White plays the high approach with the marked black stone already on the board (3483 enclosure). We can reasonably say that the two-space low pincer does not exist in professional play on a "stand alone" basis. 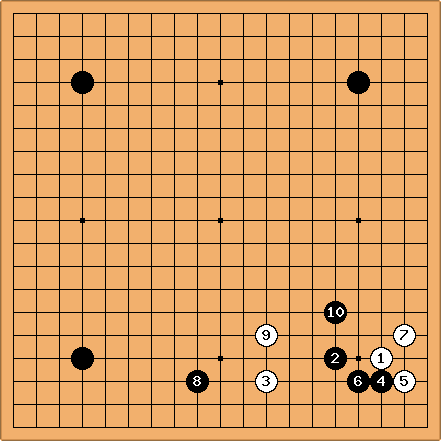 Using Waltheri's go pattern search I found this unique example. But of course one single game does not refute the claim that it 'does not exist in professional play'. Those are quite rare moves; it is even rarer to see tenuki in reply, though. If it were played without the Chinese-enclosure stone - but that is normally present, in practice.